with 1 in 15" twist. Extra large Fishgill Muzzle Brake 3" diameter X 6" long. 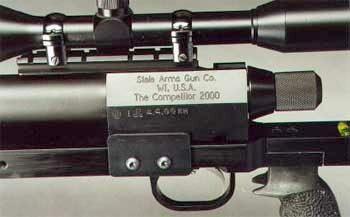 Complete scope mount with your choice of 1" or 30mm rings. 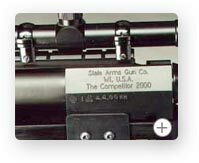 Accuracy of the Competitor 2000 is guaranteed to be less than 1 minute of angle with custom bullets.